MURRAY: Former Silvertips captain and current Columbus Blue Jackets Ryan Murray has seen his fair share of injury in his time in the NHL, but since returning from a groin injury that kept him out of the season opener he’s seen success on the second pair of the Jackets blue line alongside Markus Nutivaara. At the Blue Jackets third game of the season, against the Colorado Avalanche, Murray and Nutivaara set up Artemi Panarin for the third period 2-2 tie-breaking goal that ended up becoming the game winner. Coach John Tortorella ended up playing the pair against the Avs top line, and Murray finished the game with 25:28 ice time to lead the team by nearly two minutes. Through the first three matchups of the season, they have the highest percentage of shot attempts of any duo on the team. 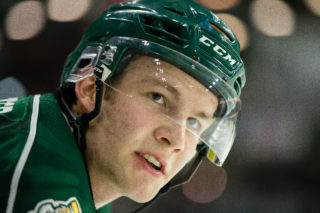 Murray played for the Silvertips from 2009 until 2013. MUELLER: A 2012-14 Silvertip alum picked in the CHL import draft in 2011, now-New Jersey defenseman Mirco Mueller had the opportunity to play in his home country of Switzerland as the Devils began their season in Europe. They defeated SC Bern 3-2 in an exhibition match before heading to Sweden to play their first regular season game against the Edmonton Oilers. MORE ALUMNI UPDATES: 2017 Silvertips captain Noah Juulsen’s play on the Montreal Canadiens second pair has been steady beside Mike Reilly and 2009-10 alum Radko Gudas had three assists in the Philadelphia Flyers win over the Ottawa Senators. WEEKEND PREVIEW – Visitors from up north, and a trip down south. 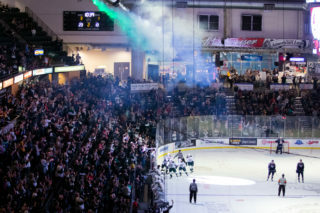 FRIDAY: The Tips weekend begins against the Edmonton Oil Kings. The Oil Kings top the WHL’s Central Division with 11 points, but also have the benefit of having played the most games in the league, with 10. They’ve played three US Division teams, and lost all three games. 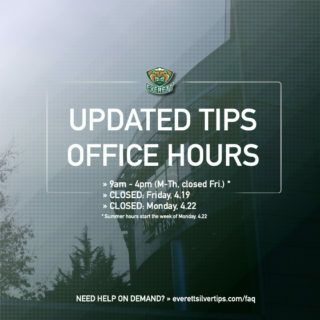 The Tips play Edmonton once a season, and last year they saw a 5-1 loss in Alberta. In their own barn this year, they’ll look to take this season’s game and break the currently tied win-loss record in favor of the W column. SATURDAY: The Tips will face Kamloops in the middle game of their second 3-in-3 this season. The Blazers will come into Everett either off their first win in six games, or having added a sixth game to their losing streak. Former Tips Orrin Centazzo and Montana Onyebuchi will be back in town with the visiting Blazers, who the Tips went 4-0 against last season. SUNDAY: To close out the weekend, the Tips will face a familiar opponent in Portland. Two of the league’s top three scorers play for the Winterhawks, and they were effective in their last meeting. WHL leading scorer Joachim Blichfeld showed up on the score sheet for all four goals against the Tips on Oct. 6, and Cody Glass had an assist on three. 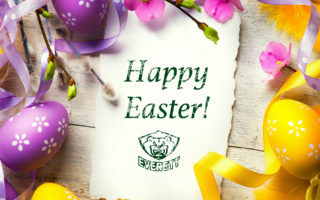 Everett will visit a Portland team on a five game win streak, so it should be a tough test to end the weekend before the team heads out on its Canada roadtrip. The Tips took care of Portland, 3-1 in their first meeting of the season on Sept. 23 when Jackson Berezowski’s first career WHL goal stood as the game winner. 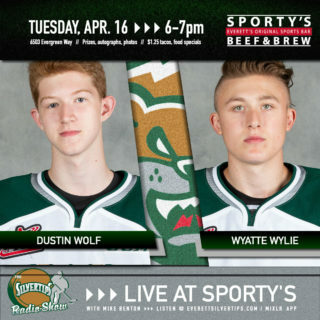 It’ll be the first time the Tips see Moda Center since their incredible Game 4 comeback win in the second round of last year’s playoffs, capped by Wyatte Wylie’s winner late in regulation after Garrett Pilon tied the game one shift prior.